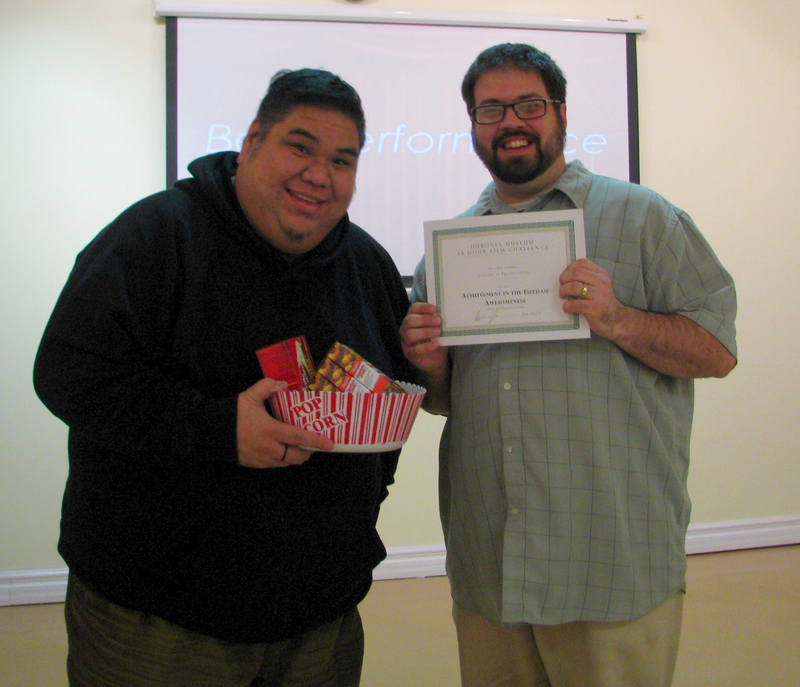 Bobby Fernandez (left) from the team “Cohort G Productions” receives his Award for Achievement in the Field of Awesomeness. This past Friday, the Huronia Museum hosted its 48-Hour Film Challenge screening. Three teams participated in the challenge on the weekend of November 19, during which they had to make a movie, according to a secret list of criteria, in only two days. Three judges chose the winners. Nate Lacroix of Kunuhd.com, a video production company based in Huronia, Alison Broverman, arts writer and host of Popcorn Panel for the National Post, and Paul Harding of PostWhatever.com.